Elara Engineering is pleased to announce to its valued clients, employees, and vendors that – in 2018 -- we have continued to build upon our previous successes. From the continued design of new technologies such as Variable Flow Refrigerant to Riser Pipe Replacement Projects to the design of large Emergency Backup Power Systems, our dedicated and talented team continues to achieve energy efficiencies through constructible designs that minimize the carbon footprint on the environment, save money, and increase asset value. 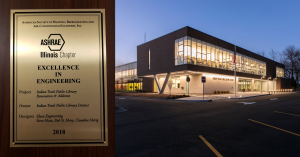 On December 4, 2018, Elara Engineering received two 2018 Illinois Chapter ASHRAE Excellence in Engineering Awards. 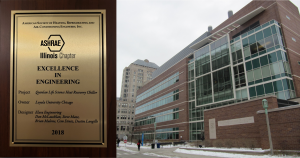 The first award recognizes Elara’s sustainable design of energy efficient mechanical systems and infrastructure at the Indian Trails Public Library in Wheeling, Illinois while the second recognizes our team’s innovative design that improved energy efficiency at Loyola University Chicago’s (LUC) Quinlan Life Sciences Building; a continuously operated, energy intensive laboratory building. Renovated building with new addition uses approximately 40-50% less energy than typical library building. New energy efficient mechanical systems and infrastructure incorporate a geothermal heating and cooling system that utilizes water source heat pumps. $100,000 EBSCO grant awarded for solar array installation costs – selected from 90 grant submissions from 15 countries. Additional details about this project can be found here. Practical design that generates approximately $62,000 in annual energy cost savings with a quick ROI. Design integrated two heat recovery systems to enable year-round heat energy recovery and eliminated heat rejection equipment to reduce implementation costs. Reduced load of campus’ central chilled water plant to provide additional capacity for future buildings. Elara congratulates its dedicated and talented project teams on their achievement and recognition by their peers in the Illinois ASHRAE Chapter. 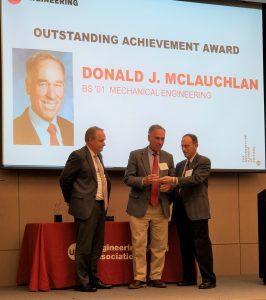 Elara Engineering is pleased to announce that on November 7, 2018 at the University of Illinois-Chicago (UIC) College of Engineering’s Alumni Awards Dinner, Don McLauchlan was awarded a 2018 UIC Engineering Outstanding Achievement Award. Don holds a Bachelor of Science degree in Mechanical Engineering from UIC and is a founder and principal of Elara Engineering, Inc.
As described by UIC for the awards event, Don has over 35 years of experience in MEP design, construction, and commissioning and focuses on energy efficient design in the building environment; including, new construction, major renovations, problem-solving, green buildings, and fully integrated sustainable systems. He has led engineering teams on projects for large commercial buildings, schools, universities, and hospitals; among others that have earned 21 first-place Illinois ASHRAE Excellence in Engineering Awards, three first-place Midwest Regional ASHRAE Technology Awards, two International Society ASHRAE Technology Awards, a Green Design Award from the Institute of Real Estate Management, and a Green Innovation Emerald Award from the United States Green Building Council. As a licensed professional engineer in several states, Don is a certified energy manager and LEED-Accredited Professional. He has authored several technical articles for the ASHRAE Journal and other trade journals and has been a speaker at numerous industry conferences. Elara Engineering is proud to congratulate Don for his 2018 UIC Outstanding Achievement Award and for his infectious passion, guiding leadership, industry involvement, commitment to client service, and a career devoted to energy conservation and innovative design. 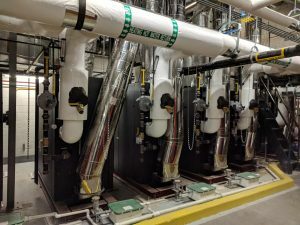 Elara Engineering recently completed the first of two phases of engineering to decentralize an aging steam plant serving Northwestern University’s downtown Chicago campus through the design and installation of several distributed hot water, medium-pressure steam, and low-pressure steam boiler plants. Through its assessment and investigation to define the project scope and objectives, Elara determined conversion to hot water heating via distributed plants presented opportunities for energy and maintenance savings while the remaining steam production could be focused specifically on humidification and process loads. Locating small, high pressure process boilers in each building near process users allows for a significant reduction in energy and maintenance while limiting the low-pressure steam plant to winter usage allows the plant to be shut off during the summer. This design approach reduces energy costs but also allows for maintenance to occur during the summer when the boilers are not operational. Most heating, re-heat, and domestic hot water loads are served from condensing hot water boilers to maximize energy savings. Other identified benefits of decentralizing campus heating include updating a large portion of existing infrastructure and freeing up additional land for future development in a highly urbanized environment. The first phase of the project – completed in Fall of 2018 -- addressed six campus buildings that primarily house classroom and office spaces and that do not require process steam. 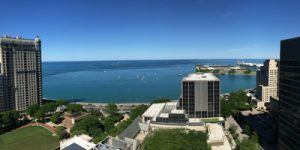 With Elara’s design, Northwestern University’s Abbott Hall, 345 E. Superior building, Rubloff Building, Levy Mayer Hall, McCormick Hall, and Wieboldt Hall are now supported by three new boiler plants. The plants in Abbott Hall and 345 E. Superior are stand-alone systems dedicated to supporting the building they are housed within; whereas, the Rubloff Building boiler plant supports Levy Mayer Hall, McCormick Hall, Wieboldt Hall, and the Rubloff Building itself. In addition to the development of permit documents, contractor selection assistance, construction services, and functional testing; Elara reviewed applicable local incentive programs, prepared applications, and facilitated the approval process for selected incentives. To date, $129,952 of incentives have been procured for this $5.9M project. To support the initiatives of Heartland Housing, Inc -- a division of the Heartland Alliance (Chicago, IL) and a developer/manager of sustainable, innovative and high-quality affordable housing for at-risk populations -- Elara provided advice, planning, and direction to the entire project team regarding MEPFP and sustainable features, including solar domestic hot water and geothermal heating and cooling. 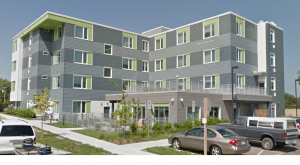 Rethke Terrace in Madison, WI is a 36,000 ft², 4-story, newly constructed supportive housing facility with 60 studio, single-occupant units serving the formerly homeless or those at risk of homelessness. 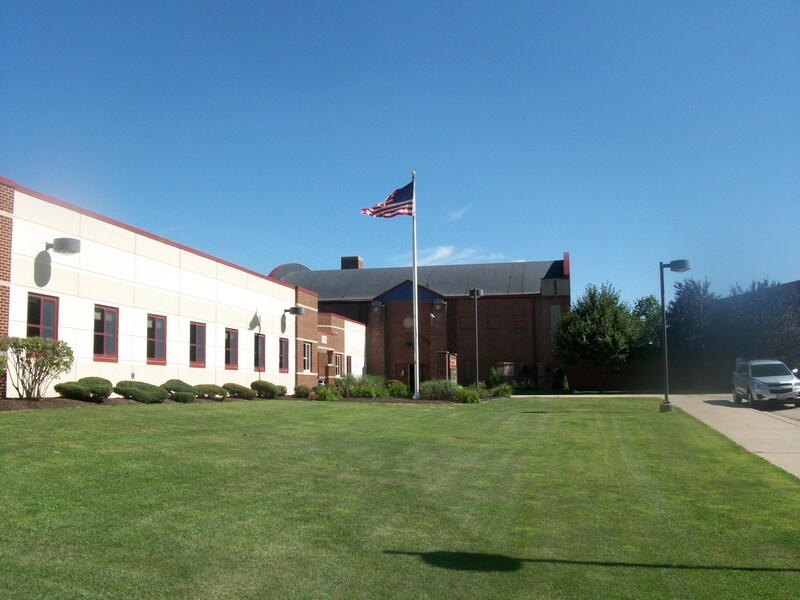 The property has 5,000 ft² of common area and office space for property management and four case workers, assembly space, a computer room, a library/quiet room, a fitness room, and a commercial kitchen for residents and the neighborhood. With Elara's efforts, Rethke Terrace achieved Passive House certification and a LEED Platinum designation for Homes (Midrise). Contributing design elements include wall assembly features with advanced framing details and an air-tight envelope, window heights and placement that maximize natural day-lighting, energy efficient lighting design, energy recovery ventilators, Variable Refrigerant Flow (VRF) heating and cooling systems to provide individual comfort control in units, occupancy sensors, window switches, kWh tracking, and remote building management. Elara provided conceptual/pre-schematic design, schematic design, design development, bidding, and construction observation services. To support the project's early planning phases, Elara performed energy modeling and building optimization based on numerous interacting effects; evaluated the most cost-effective building design; explored net-zero energy opportunities; and optimized lighting design and controls, including a detailed light level analysis, daylighting, occupancy control, and layouts to minimize energy while maximizing occupant satisfaction. A renewable energy analysis was also completed that evaluated multiple options, including geothermal, and their performance. Elara also evaluated plumbing heat recovery and rain water retention/reuse. The HVAC system ultimately selected due to Elara's work maximized energy efficiency and savings and minimized cost with respect to building envelope design. 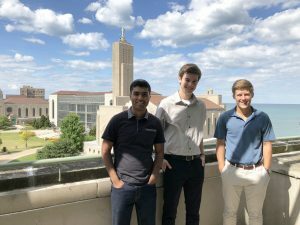 Elara Engineering’s 2018 Summer Internship Program concluded with the participation of three aspiring engineers at varying stages of their undergraduate careers. Developed to expose interns to numerous aspects of the MEPFPIT design industry, Elara’s program had all three individuals fully immersed and supporting multidisciplinary engineering design work from May to August. “This summer I was able to work alongside experienced engineers and learn more about ongoing projects at Elara. Everyone I worked with was very helpful and spent time to explain to me the technical aspects of the project. Having that background knowledge going into an assignment helped me develop a good understanding of basic practices involved in the industry.” ~ Ben K.
“…another favorite thing was going onsite and learning new systems. It not only helped to connect the dots from CAD to job site, but it also gave me an opportunity to meet other engineers working on the same project.” ~ Rahul M.
“My favorite thing about the company was the sense of community that everyone had. What I mean by that is how the people here care about one another when it comes to the work everyone is doing. Everyone I worked with was able to stop what they were doing and provide me with the answers I needed. I was very impressed with how much I was encouraged to actually learn about what I was doing.” ~ Bo M.
Elara is pleased to offer internships for aspiring engineers each summer with additional opportunities to engage students throughout the year. Resumes for internship consideration can be submitted to employment@elaraeng.com. Loyola University Chicago Ranked 5th Most Eco-Friendly College in U.S.
Elara Engineering is pleased to announce that Loyola University Chicago (LUC) has been ranked by College Magazine as the 5th most eco-friendly college campus in the United States. Congratulations! According to College Magazine’s article (found at www.collegemagazine.com), the ranked schools and their students work to reduce their carbon footprint on a campus-scale. For example, the top ten schools make the most of their resources by providing easy access to recycling, using renewable energy, committing to zero waste at events, having great Environmental Science programs and student run eco-clubs, and holding high standards for environmental sustainability. The article specifically cites LUC’s zero waste biodiesel production process, rainwater utilization, multipurpose soap, and successful student-lead campaigns to ban water bottles, the use of plastic bags, and to get the University’s administration to take a stand in support of a price on carbon. Students have also created clubs such as the Student Environmental Alliance and the Growers Guild. Additionally, the University offers six majors within its Environmental Department: Environmental Science, Environmental Policy, Environmental Public Health, Environmental Studies, Conservation and Restoration Ecology, and Food Systems and Sustainable Agriculture. Elara is honored for the many opportunities it has had during its ongoing partnership with Loyola University Chicago to advance the school’s commitment to an energy efficient infrastructure. Completed projects to date have earned an Energy Star Award, a LEED Gold or Silver Designation, a USGBC Emerald Green Innovation Award, and numerous ASHRAE awards at the Chapter, Regional and International level. 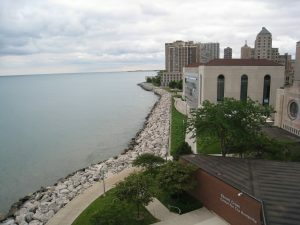 Congratulations again to Loyola University Chicago on its recognition as one of the most eco-friendly college campuses in the country. Elara Engineering recently completed the engineering design and coordinated construction effort to replace leaking galvanized steel domestic water piping with new copper piping for an entire 42-story residential building, while fully occupied. The large-scale project – completed under budget and ahead of schedule included common areas, hot and cold supply risers, condo unit branch piping, hot water return risers, and express risers (a total of 17 risers). Key project factors included creative scheduling and work coordination to balance project speed and cost while minimizing unit occupant disruptions. Working within these parameters, the project maintained water service to each unit at the end of each work day while impacting each unit for no more than 20 consecutive business days. 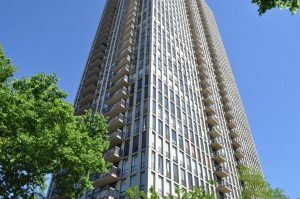 Elara worked closely with contractors, building staff, the condominium association board and building occupants to achieve a successful project. The building’s risers are divided into two vertical zones that span Floors 1-22 and 23-42. One of the risers consists of express vertical risers to deliver domestic cold and hot water from the basement directly to the ceiling of the 22nd Floor, and horizontally to risers that serve Floors 23-42. Two other risers serve the high and low zone and return hot water to the domestic hot water heaters located in the basement. Elara recommended, further customized and then executed a three-phased project approach for this building. Phase 1: An initial study was performed to identify scope, major obstacles to the project, potential project phasing, and cost estimate. Phase 2: Replaced horizontal distribution piping, isolation valves, and an initial riser. Phase 3 Replaced remaining piping throughout the building utilizing the knowledge obtained in the previous phases. More information about this project and other Elara projects can be found here. 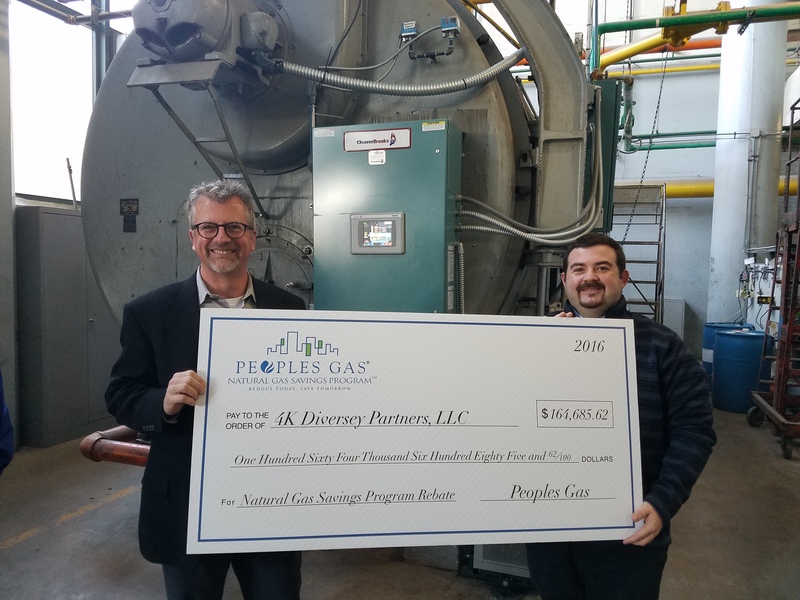 In 2017, Elara Engineering successfully procured for its clients $820,212 in incentives from Commonwealth Edison, Peoples Gas and Nicor to help offset costs associated with the installation of energy efficiency improvements. This represents Elara's highest annual total to date; although, current trends indicate that procured incentives in 2018 may be even higher. Elara has been actively involved in various utility incentive programs since 2009 and has successfully procured $4,649,228 since then for its clients.ComEd’s Smart Ideas Program, the Chicagoland Natural Gas Savings Program from Peoples Gas and Nicor’s EnergySMART Program all offer non-residential Illinois customers a wide range of incentives for the installation of energy efficiency improvements and the purchase of energy efficient equipment. Incentives are received after a detailed application process and successful completion of the designed project. Lead by Elara’s Incentive Procurement Team and working with our clients and program representatives during the assessment and design phase of an energy project; Elara checks project and equipment eligibility, develops, submits and tracks the pre-approval application, completes the project design, reviews the installation of selected equipment, and submits the final application once the project is complete, including required measurement and verification data for custom projects. Through its relationships with program representatives and participation in incentive program round tables and conferences, Elara has the ability to maximize the incentive amounts for our clients and streamline the incentive application and approval process. 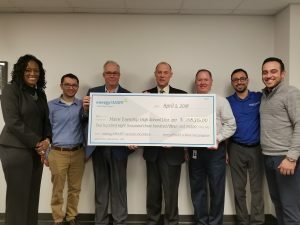 As of June 2018, Elara has already received approval for $206K in incentives with another $705K in the pipeline, bringing the potential total of procured incentives from ComEd, Peoples Gas and Nicor for this year to $911K. Based on a recommendation from Elara Engineering’s Energy Audit and HVAC/Mechanical Systems Assessment of the Renaissance Pere Marquette Hotel, Elara recently completed a chiller plant replacement and chiller heat recovery implementation project that reduced utility costs by $94,000 within the first 10 months of operation (projected at $116,000 annually). 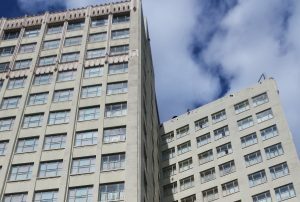 Elara’s assessment identified additional improvement opportunities with a potential to reduce the hotel’s operating costs up to an additional estimated $125,000 per year. 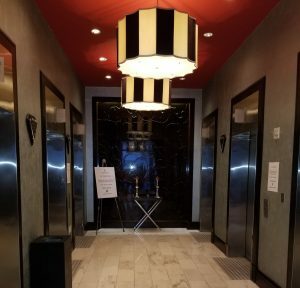 The Pere Marquette Hotel, an 18-story luxury hotel located in New Orleans’ historic French Quarter was originally constructed in 1925, renovated in 2001, and underwent repairs to the base building after Hurricane Katrina in 2005. The property has 275 guest rooms, restaurant, café, fitness center, banquet and conference facilities, offices, and a parking garage. Installed a new heat exchanger and pump along with associated controls. As part of Elara Engineering’s ongoing strategy to identify the best possible technologies, processes, training and work environment to continuously generate innovative, cutting-edge designs that improve the functionality of both new and existing buildings, Elara recently reconfigured one of its workspaces to further enhance staff communication, collaboration, and teamwork. 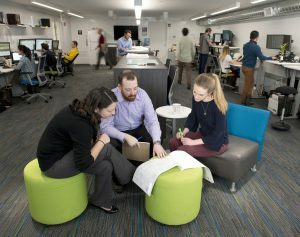 Defined by its guiding principles of Big Picture Thinking, Practical Approach, and Sustainable Designs, Elara has created a workspace that gives its talented and dedicated professionals the freedom and flexibility – including the opportunity to easily work as a group, when desired -- to analyze, problem solve, and innovate in a comfortable work environment. With its open-office layout, dedicated small group meeting spaces, open table-tops for group discussions around client plans and drawings, writeable walls, and adaptive sit-stand desks for increased comfort; communication channels are shortened, project issues and opportunities are identified and resolved faster, and project quality and efficiency are improved. Using an energy-efficient, radiant heating/cooling technology that Elara designed for Loyola University Chicago’s Cuneo Hall (a Gold LEED-Certified building that was in the Top 5% of U.S. energy-efficient classroom buildings when it opened in 2012), Loyola’s Dr. Gail Baura, PhD; Director of Engineering Science and Dr. Jason Streeter, PhD; Clinical Assistant Professor recently facilitated an Elara developed learning experience for a group of engineering students (ENGR 201, Experiential Engineering). How to estimate radiative heat transfer. 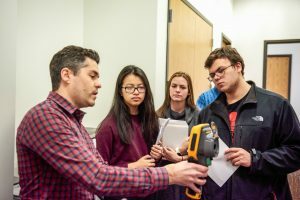 The small-group, hands-on experiment is consistent with the objectives of Loyola’s Engineering Science Program that emphasize active learning to facilitate student engagement and engineering retention. Elara was honored and appreciated the opportunity to provide its expertise and insight for tomorrow’s engineering professionals. Don McLauchlan, PE, CEM, LEED AP, is a Principal of Elara Engineering and a member of the Engineering Science Industrial Advisory Board for Loyola University Chicago’s Engineering Science Program. Additional information about Loyola’s Engineering Science Program can be found here. 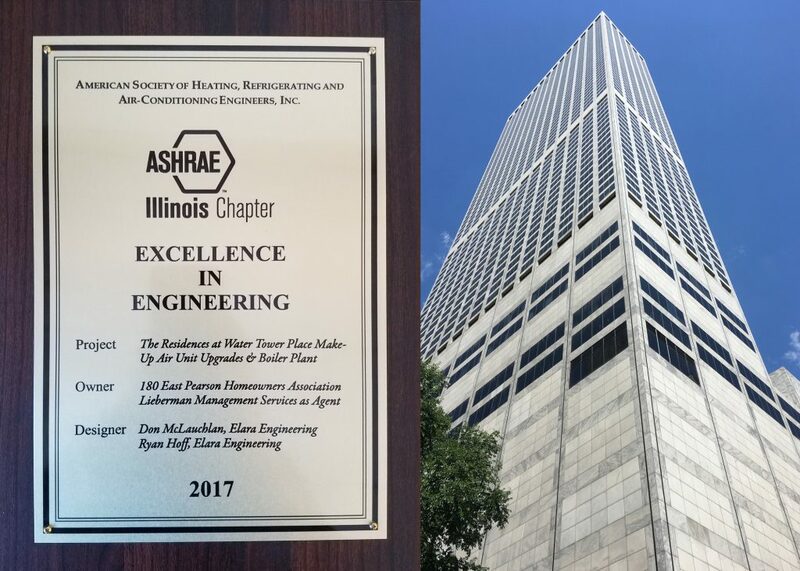 In December of 2017, Elara Engineering received an Illinois Chapter ASHRAE Excellence in Engineering Award for its energy retrofit project at The Residence at Water Tower Place in Chicago’s Streeterville neighborhood (180 East Pearson Street). This latest recognition represents Elara’s 22nd Chapter-Level ASHRAE award since the company’s inception in 2001. The innovative project, further highlighted in the Autumn Issue of Chicagoland Buildings & Environment (access the article) and led by Don McLauchlan and Ryan Hoff, reduced energy costs by 50% and improved occupant comfort through a design approach that re-established centralized humidification and improved building pressurization. Additional details about the project can be found here. 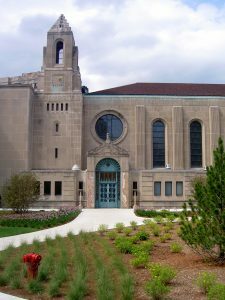 Elara Engineering has completed a mechanical, electrical, and fire alarm retrofit of Loyola University’s historic Cudahy Library located on its Lake Shore Campus in Chicago, Illinois. The MEP upgrade of the 3-story building, originally constructed in the 1920s, will dramatically reduce energy costs while installed systems to control temperature and humidity will help protect and further preserve the life expectancy of the 12,600+ rare books housed in the Archives and Special Collections department of the Library. 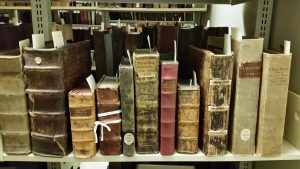 The prized collection reflects the liberal arts foundation of Loyola University in the areas of Philosophy, Religion, History and Geography, and Language and Literature. Converted the building from costly electric resistance heating to hot water heating fed by the Campus’ high efficiency hot water plant. Replaced aged and noisy Air Handling Units (AHUs) that provided insufficient humidity control with new custom consolidated VAV and heat pump systems which incorporated energy recovery, including the innovative installation of new fan powered boxes with hot water reheat coils designed to circulate chilled water during cooling to act, in essence; as active chilled beams. Installed a new heat pump system with a fluid cooler for the Library’s book stack area and waterside economizer for fan powered boxes via heat exchanger. Replaced existing pneumatic control system with a new state-of-the-art Direct Digital Control building automation system tied to the Campus’ network. Upgraded the building’s main electrical panel and fire alarm system and modified the electrical infrastructure to support the new and upgraded mechanical systems. As a result of Elara’s design to replace and upgrade the existing central plants serving Maine South High School and Maine West High School, Maine Township High School District 207 has been approved to receive $260,270 in incentive funding due to the demonstrated energy efficiency of the new central plants. Through the initial stages of a master plan for the entire School District, Elara identified the opportunity to convert the existing inefficient heating system serving Maine West High School from low pressure steam to hot water heating fed by a high-efficiency condensing hot water boiler plant and to install a new dedicated domestic hot water and pool heating plant. This work included replacement of the existing steam absorption chillers with new high-efficiency electric chillers, upgrade of ten air handling units, and the elimination of nine heat exchangers. 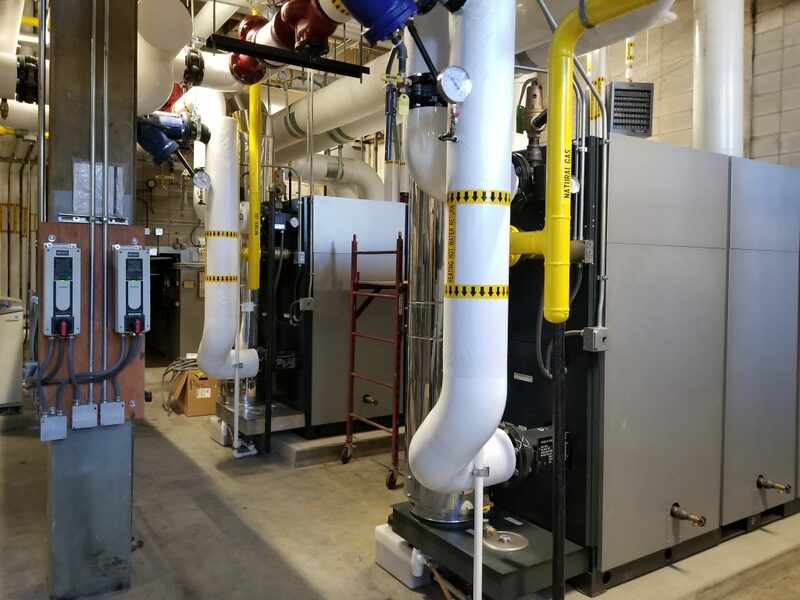 Elara similarly identified the opportunity to replace the existing high temperature/high-pressure hot water boiler plant at Maine South with a new high-efficiency condensing boiler heating plant and to install new dedicated domestic hot water and pool heating plant. This work included the elimination of ten heat exchangers and the consolidation of the space heating boiler plants. Also as part of the central plant upgrade project, new state-of-the-art direct digital control building automation systems were also installed to replace existing pneumatic controls at both high schools. Additional benefits of Elara’s central plant upgrade design include replacing aged equipment in need of repair with new higher efficiency equipment with lower operating costs, reducing maintenance through the elimination of equipment, and improving comfort through state-of-the-art controls. The projects were completed on-time and under budget with $260,270 ($159,639 for natural gas; $100,631 for electric) in incentive funding approved through local utility companies. As part of its heating and ventilation system evaluation for Eastland Elementary School for Community Unified School District (CUSD) 308 in Lanark, Illinois, together with Richard L. Johnson Associates Architects, Elara recommended improvements to the school’s existing HVAC system to address aging equipment, increase energy efficiency, and enhance occupant comfort. 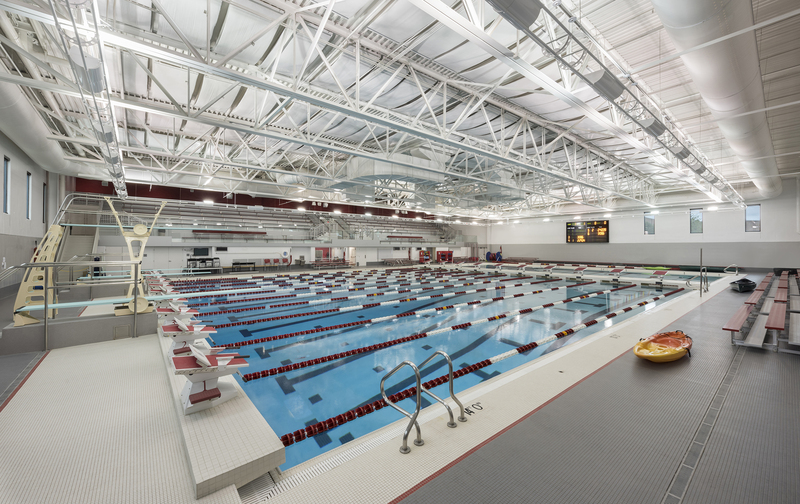 One improvement strategy included the design and installation of a Geothermal Heat Pump System for centralized space heating and cooling for the building. The geothermal system designed by Elara was installed for an incremental cost of less than 10% of that to install a conventional heating and cooling system. Additionally, this environmentally-friendly approach is more energy efficient and eliminates future costs to replace central boiler and chiller plants approximately every 20 years. The system’s geothermal field, with its 36, 450-foot deep vertical wells is anticipated to last at least 50 years, with heat pump equipment replaced according to a traditional schedule. 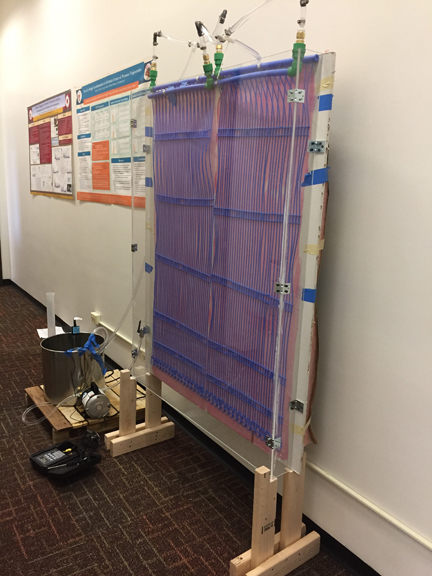 For the system installation, a single pipe geothermal condenser water loop was utilized to serve the classroom heat pumps and to save material and labor costs of pipes routed through an existing utility tunnel. Elara also re-used two existing mezzanines above the gymnasium’s stage area to house new heat pump air handling equipment. Once Elara unified the HVAC systems for the building (which were previously disjointed due to numerous renovations and additions), a new direct digital control system was installed to maximize controllability and energy savings associated with the operation of the new equipment. 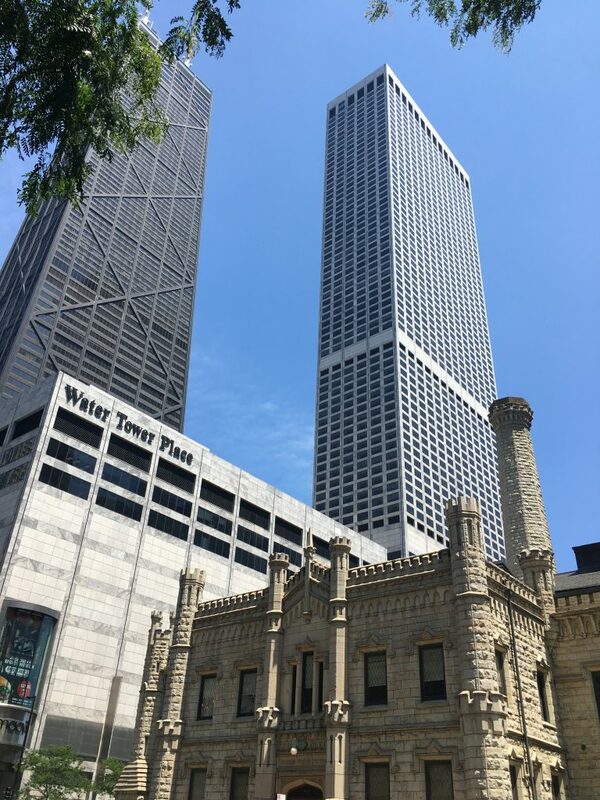 The Residence at Water Tower Place Condominium Association retained Elara Engineering to perform a holistic review of the building’s ventilation system to identify opportunities to improve performance, reduce energy consumption, and to improve occupant comfort. 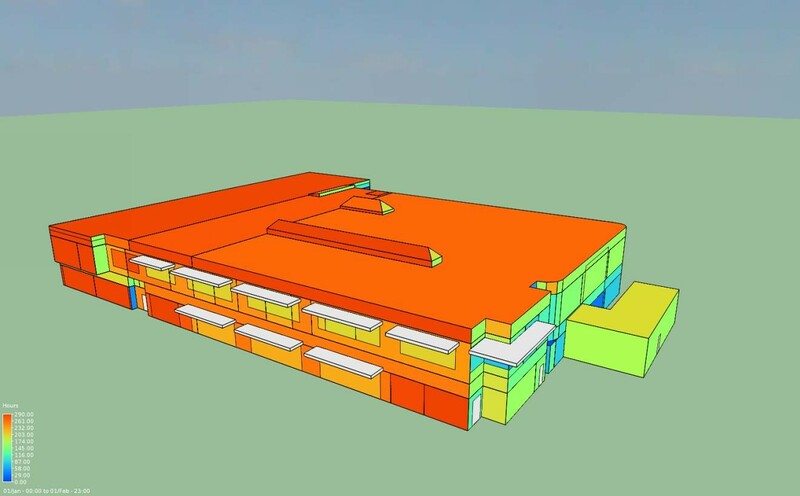 The following two-fold design approach reduced energy costs by 50% ($210,000 over the first eight months of operation) and improved occupant comfort through upgrade of the building’s central ventilation systems including reestablishing central humidification and improving building pressurization. Reduce Makeup Air Volume to save significant energy. Once the building’s exhaust and makeup air systems were operating intelligently, the Makeup Air Units (MAU) were improved by converting the ventilation system to an intelligently controlled demand oriented system, converting existing electric MAUs to gas, and adding three forms of heat recovery. In collaboration with Indian Trails Public Library (ITPL) , Elara Engineering completed and submitted an EBSCO Industries, Inc. (EBSCO) Solar grant application to offset the installation costs of a solar panel array to further reduce the Library’s annual electricity expenditures. EBSCO received 90 submissions from 15 countries for the 2017 grant. Computation of solar accommodating roof area according to calculated shade lengths of existing roof elements during winter solstice. 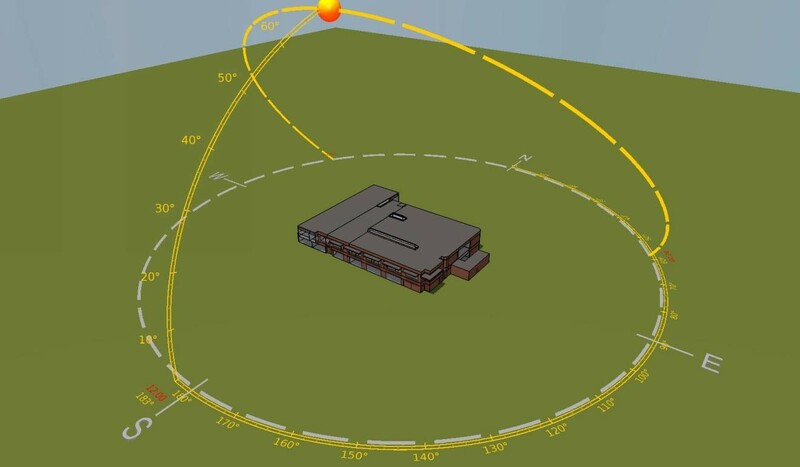 Modeling and computation of panel inclination angle of highest photovoltaic efficiency. 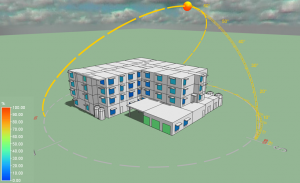 Modeling of solar building performance, including thermal imaging of building exterior and solar inclination angles. Conversion of backup generators to natural gas. Congratulations to Indian Trails Public Library for its ongoing dedication to environmental sustainability, including its strong commitment to the use of renewable energy sources. With LEED Enhanced Commissioning services and expertise, Elara successfully secured valuable points to ensure a highly desired LEED Gold designation for Loyola University's newly constructed Center for Transitional Research and Education facility (CTRE). 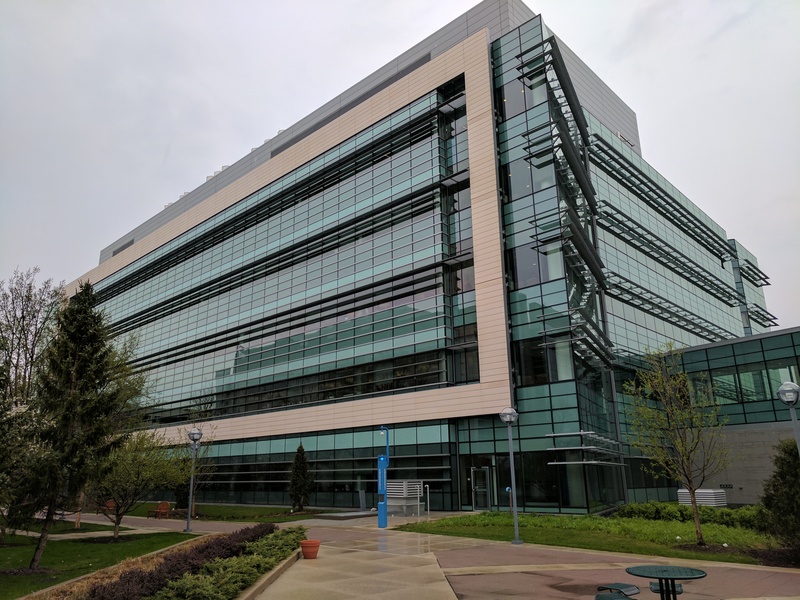 The highly specialized, highly complex 5-story state-of-the-art research facility required an extreme level of systems redundancy and continuous mechanical system service to ensure uninterrupted medical research. To serve a wide range of space uses, the building included multiple sophisticated mechanical systems; including, emergency chilled water fed from the University's Health Science Campus and over 650 air terminal units. Through coordinated commissioning activities that included comprehensive functional testing, the identification of control sequencing modifications and reliability enhancements -- considered to be of critical importance for lab space performance, and black out testing to verify emergency power functionality and emergency sequences for MEP systems throughout the building, Elara delivered a highly efficient building system with complete functionality. Elara Engineering recently completed a mechanical, electrical, plumbing and fire protection design for the renovation and expansion of Indian Trails Public Library in Wheeling, Illinois that is projected to result in a 40-50% reduction in energy use relative to other, typical library buildings. This sustained benefit was primarily derived from the innovative use of a geothermal heat pump heating and cooling system combined with energy efficient building materials and features. Modified and expanded the existing fire alarm, plumbing and fire protection systems for the new and renovated spaces. Identified in a Master Plan that Elara had developed for the owners of “The Fields” building at 4000 West Diversey Avenue in Chicago, Elara’s engineering team conceptualized and designed a demand controlled ventilation (DCV) system that provided $164,685 in incentive funding with an estimated $157,000 in annual energy cost savings. The DCV system for the 700-space indoor parking garage supports the conversion of the former Marshall Field & Company warehouse into a multi-use facility that includes high-tech loft live/work apartments, a grocery store, and loft style office spaces. This work, along with Elara’s specifications for new burner controls including linkage-less high-turndown burner retrofits for the building’s existing primary steam boiler, greatly improved energy efficiency, occupant comfort, and overall system reliability. Additional details about the Highland Park High School renovation project can be found in the Daily North Shore article at (https://jwcdaily.com/2017/03/13/hphs-unveils-21st-century-learning-renovations/).